LINCOLN -- Mary L. Matson, 41, of Lincoln, died Wednesday, Feb. 9, 2005, at 11:20 p.m. at Abraham Lincoln Memorial Hospital. Click here to send a note of condolence to the Matson family. PEORIA -- Judith H. Barner, 80, formerly of Decatur and Mount Pulaski, died Wednesday, Feb. 9, 2005, at 12:30 a.m. at her home in Peoria. 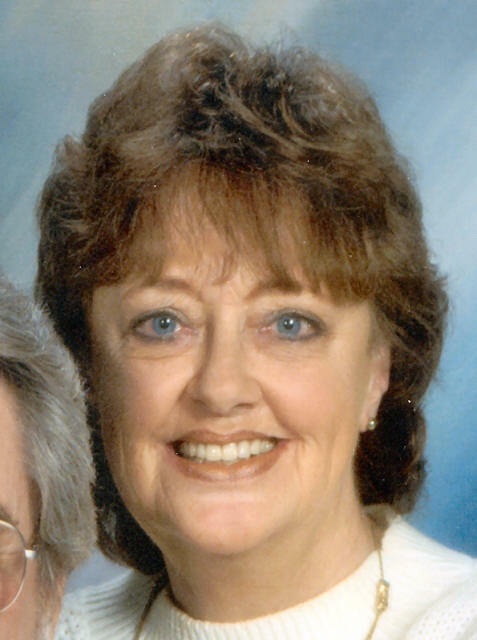 Her funeral will be at 11 a.m. Saturday at Fricke-Calvert-Schrader Funeral Home in Mount Pulaski, with the Rev. Charles Watkins officiating. Visitation will be one hour before the service. She retired in 1987 from Staley's, where she held a variety of positions ranging from secretary to managing facility startups and employment specialist. She was born Jan. 24, 1925, at Mount Pulaski to Albert and Georgia Harbert Horn. She married John N. Barner at Mount Pulaski on June 19, 1948. She is survived by her husband, of Peoria; one daughter, Susan (and Gene) Walker of Dunlap; two granddaughters, Kimberly and Tracy Walker of Dunlap; and one brother, James A. (and Joyce) Horn of Mercer Island, Wash.
She was a member of Central Christian Church in Decatur, past president of the American Association of University Women, past president of Lady Landowners and secretary-treasurer for Zonta Club. She was also a member of a local investment club, antique doll club, china painters club and bridge club. She was a local election judge for many years. She was co-owner of Apple Barn's Antiques with her dear friends Ann Shellabarger, Mary Martha Messmore and Betty Thurn. Memorials may be made to the charitable fund at Cancer Care Specialists of Decatur. Click here to send a note of condolence to the Barner family. LINCOLN -- Antoinette M. "Toni" Whittaker, 56, of Lincoln, formerly of Hartsburg, died Monday, Feb. 7, 2005, at St. John's Hospice, Springfield. Visitation will be from 5 to 8 p.m. Thursday at Bennett Funeral Home. Her funeral will be at 10 a.m. Friday at Zion Lutheran Church. Mrs. Whittaker was employed by Lincoln Logan/May Enterprise and Whit's Lawn Center as office manager for both. She was born March 27, 1948, in Cook County to Stanley and Annastasia "Ann" Zintilus Kazakaitis. She married Garry Whittaker on Aug. 31, 1969, at Zion Lutheran Church in Lincoln. She is survived by her husband, of Lincoln, one son, Daron Lee Whittaker (and girlfriend Susan Bailey) of Lincoln; two precious granddaughters, Alisa and Breanna Whittaker, both of Lincoln; one brother, Stanley Kazakaitis of Springfield; one sister, Janice Kazakaitis of Springfield; one nephew, Mark Kazakaitis of Springfield; one niece, Kristi Kazakaitis-Carter of Lincoln; and a brother-in-law, Melvin Whittaker of Emden. She was an extremely active member of Zion Lutheran Church and School, serving in several capacities including the school board and as chairman of the Challenge Committee. She recently stepped down from the church's finance committee and had been a Sunday school teacher and director of the Christmas program. She was also an active member of the community, serving as an ambassador for the Lincoln/Logan County Chamber of Commerce and being involved with balloon fest and Main Street Lincoln activities. She was a Jaycees Citizen of the Year. In the early '80s she was a member of the Cub Scout board in Hartsburg-Emden, and she ran for fair queen in the '60s. Memorial donations may be made to the family for disbursement to several charitable foundations and will be accepted at the funeral home. Click here to send a note of condolence to the Whittaker family. LINCOLN -- Rebecca "Becky" Ritchhart, 58, died Monday, Feb. 7, 2005, at 1:08 a.m. at her home in Lincoln. Her funeral was Thursday morning at Fricke-Calvert-Schrader Funeral Home in Lincoln, with the Rev. Julie Azbel officiating. Visitation was on Wednesday at the funeral home. Burial is in Mount Pulaski Cemetery, Mount Pulaski. She worked as a waitress at various restaurants, including the Cracker Barrel. She was born Nov. 26, 1946, in Lincoln to Irvin and Mary Passmore Rowland. She is survived by her mother, of Lincoln; her life companion, Louis Cramer; one daughter, Traycee (and Steve) Thweatt of Gainesville, Ga.; two grandchildren; and one brother, Tom (and Dee) Rowland of Lincoln. 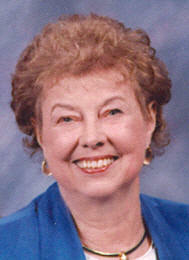 She was a member of the First United Methodist Church of Lincoln and Lincoln Eagles 2708 Auxiliary. Memorials may be made to the American Cancer Society or Hospice Care of Illinois. Click here to send a note of condolence to the family of Rebecca Ritchhart.